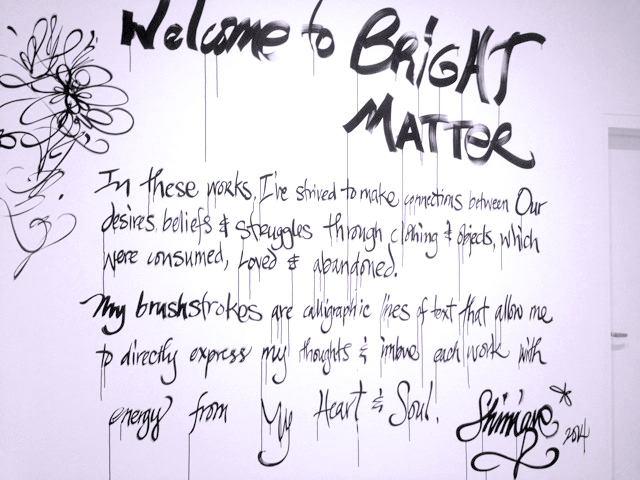 Bright Matters is the name of the current exhibit by Shinique Smith at the MFA in Boston. Although I was not familiar with Shinique’s work I was pleasantly surprised to find a contemporary show of work by a woman artist that was inspiring and beautiful. All too many times I find that contemporary art focuses on the dark and depressing with a shock value in an attempt to be hip and obtuse-or is it just me… Thankfully Shinique Smith’s work got my spirits up and inspired me with her graffiti style combined with fabrics, sound and just about anything she found appropriate for her creations. Shinique makes a statement about her exhibit by writing on the wall. So heartfelt and full of optimism. 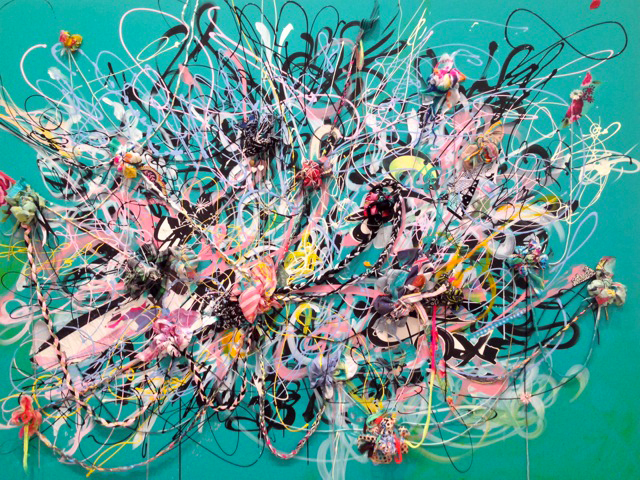 This piece is thoughtfully detailed with an abundance of freedom of paint application. 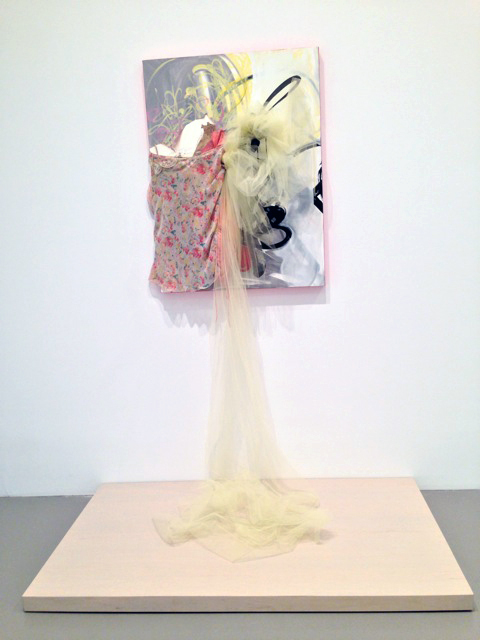 Smith expresses herself by approaching her work with a lot of physicality in applying her paint. The stained glass motif was created as a fabric collage that gives the piece an anchor within a field of expressive strokes of paint. 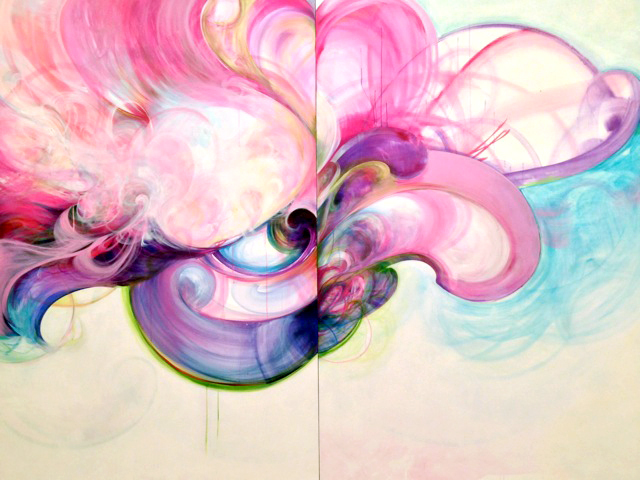 This piece was named after a Jimi Hendrix song that suggests a vantage point to see life before birth. 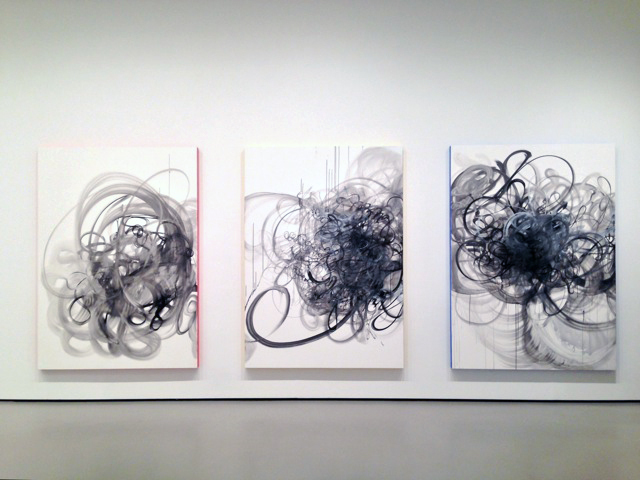 These three canvasses have paint in black and white only with the edges in bright primary colors. They depict Shinique’s expressive style that exudes energy and masterful brush strokes-doodles on a more sophisticated scale. Inspired by the Northern Lights in Iceland this ink and acrylic on canvas over panel is a wave of colors that is uplifting and filled with the power of ethereal lightness. 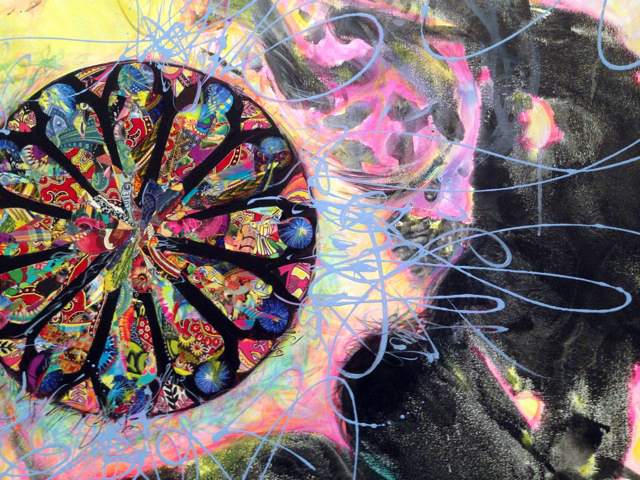 This creation is an explosion of imaginative expression that ties together colors with ink, paint, fabric, paper collage, yarn, ribbon and found objects on a wood panel. Explore this high energy and inspirational exhibit which is a culmination of art pieces by the artist from the past decade. The exhibit is in Gallery 158 in the Museum of Fine Arts in Boston thru March 1, 2015. You are currently reading Shinique Smith at the MFA at donna ingemanson studio.